and your experiences be good. May you be free of problems, sickness, and sadness. 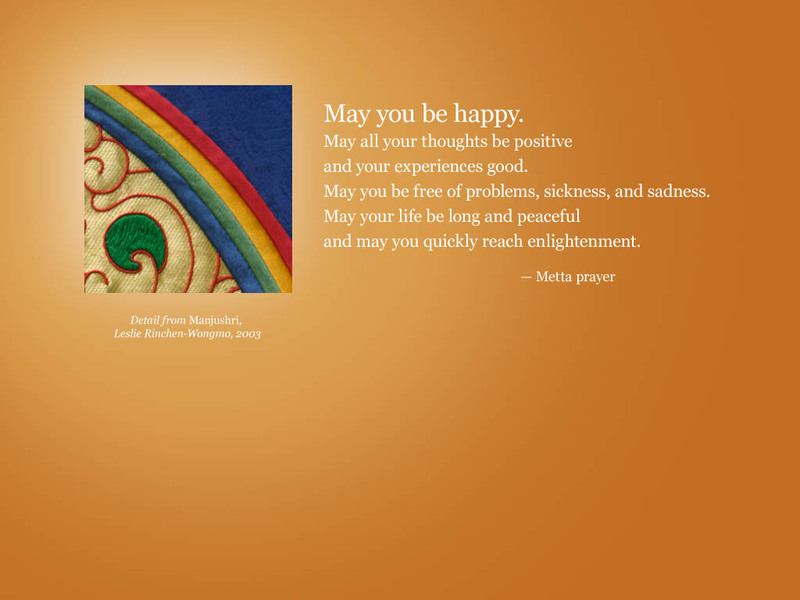 and may you quickly reach enlightenment. The year of the Black Snake begins on Sunday February 10, 2013 with the new moon rising in Aquarius–and I’m celebrating with an Italian wine! According to Geomancer and Philosopher Paul Ng, the year 2013 is “Mountain-Thunder Rhythm”– a year of conservation, a year of rebuilding, and a year of changes. The Snake is “enigmatic, intuitive, introspective, refined.” Hmmn, I wonder which wines are SNAKE wines?? If you will be celebrating with Chinese or another Asian cuisine, you might be wondering what wine to pair with the complex, often spicy dishes. For Asian cuisine, including Chinese, Vietnamese, Indian, Thai, and Nepalese, my first choice is a wine with bubbles, whether it be from Champagne, France, a sparkling Proseco from Italy, or a sparkler from California or Washington–it’s all good, but if it’s on the sweeter side of dry, like Proseco tends to be, it’s even better. I also love gewurztraminers with Asian cuisine, but what works well and is easier to find is a riesling. Chenin blanc wines like Vouvray also pair well, especially the bubbly ones! Last April, a group of Wine Predators gathered at Golden China for a Thirsty Girl twitter tasting of rieslings from Chateau Ste Michele. That was fun and we found that the rieslings went great with the various appetizer and dishes we tried. This Lunar (or Chinese or in Vietnamese, Tet) New Year’s Eve, we’re making a stirfry with organic marinated chicken and pork chops, mushrooms, broccoli, and sugar peas which we’ll cook up in a sauce with fresh garlic, ginger, sherry, and soy sauce. And what are we drinking? La Marca Proseco! According to the La Marca website, the wine is made from the Glera grape which “is cherished for its expressiveness.” In 2007, Wine Spectator named it one of the Top 100 wines. We found lots of fresh green apple, plus white peach and honeysuckle in the finish. My very picky husband who usually goes for a beer over whatever wine I am tasting, exclaimed several times how good it is. This might be a good wine to entrance your beer loving beau! The bubbles are nicely effervescent and last quite well in the glass should you become distracted by your dinner! The combination of fruit and acid makes this Proseco perfect for 5 o’clock on Friday, a Saturday cocktail, or a Sunday brunch. It’s also going to be smashing with our Asian stirfry! I found this wine on sale; it usually retails for around $12 a bottle. Please note in the picture below the beautiful cap on the cage that holds the cork in. We’re also enjoying some oysters for good luck! 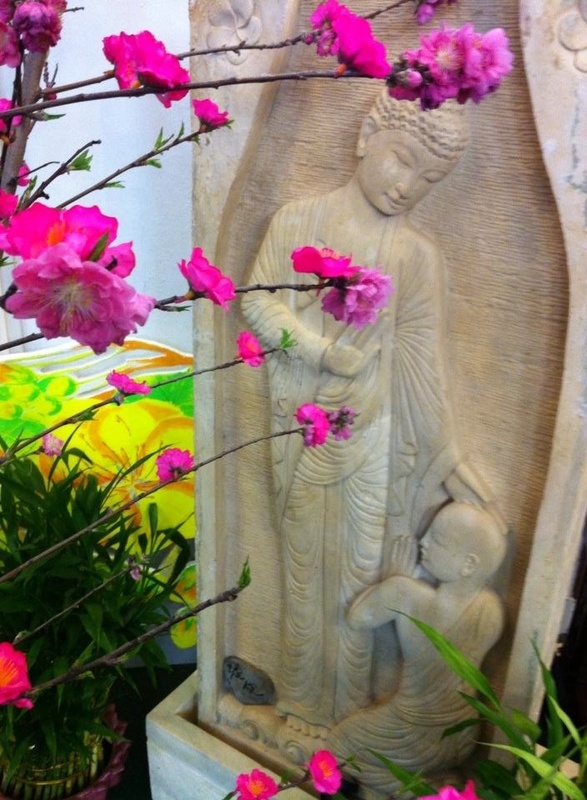 For Ventura County locals, celebrate the New Year in a traditional way at the An Lac Buddhist Mission in Ventura tonight, Sunday, and Monday, with a delicious vegetarian lunch; on the full moon in two weeks will be another event. Tomorrow, Sunday, the Jolly Oyster at the Ventura State Beach will celebrate by collaborating with LooHoo’s Asian Comfort Food to offer “Hot Pot” a dish that stems back hundreds of years to the nomadic Mongols, where tribes would gather together around a fire to cook fresh meats in a communal pot of simmering broth. Overtime, the ingredients and broth became more refined. However, the foundation of hot pot remains the same, fresh ingredients, fun, sharing, family and friendship. For $30 you get Mongolian Hot Pot, spicy, flavorful and warming on one side and on the other side is a delicious, mild, bright and non-spicy broth. Both broths perfectly compliment the fresh seafood and veggies. Both are made from scratch and with no MSG; a Seafood Platter with bay scallops, clams, whole shrimp, fillet fish, stone crab claws; Veggies, udon noodles and tofu plus Dessert of Red Bean soup. Image above is a detail of the rare Buddhist art of silk applique thangkas by Leslie Rinchen-Wongmo. His Holiness the Dalai Lama gave his blessings to Leslie’s work and encouraged her to make images that speak to the spiritual aspirations of people across religions and cultures. Leslie’s fascinating story is the subject of the acclaimed documentary film, Creating Buddhas: the Making and Meaning of Fabric Thangkas. Leslie mentors a select group of students around the world through her Stitching Buddhas Virtual Apprentice Program, and her Weekly Wake-ups (pictured) provide a thread of inspiration each week. If you like inspirational art and quotes, please visit and subscribe to my blog, Compassionate Rebel. ← “Spoon Trick” Saves Birthday Bubbles! Happy Lunar New Year! What does Year of the Black Snake mean? How should you celebrate? What wines pair with Asian Cuisine? All this and more! Hope we can stay in touch more this year. You and I seem to be very much on the same wavelength! Hello, Rosina, and happy new year to you too in every language! I’m hoping to get to your area this summer and I will certainly look you up to visit a few of your favorite local spots!